The environment is a hot topic now-a-days. How are you helping or hurting the environment with your duplication or replication of CDs? Working with CDs and DVDs has an impact on the environment and it is important to understand how you are impacting the world around you. Not only that, but you must realise the various ways you can counteract the damage that you put on the environment due to your use of CDs or DVDs. How are you impacting the environment? Whenever you create a CD you build one kilogram of carbon dioxide that is released into the atmosphere. Unfortunately most people don’t think that this will affect much. However, since the world’s population is so large, 2,455,000 metric tons of carbon dioxide are created every year from the combination of people’s CD creation. This statistic is just from the music industry alone. With the addition of promotional CDs, DVD movies, computer games and everything else that is used on CDs the numbers most likely double. What happens to a CD after you dispose of it? They typically end up in a landfill. Due to their makeup, they cannot be recycled. In fact, if they are accidentally recycled they can damage the equipment that is used to recycle materials. Polylactic acid (PLA) is a great alternative to the plastic used in CDs. It is biodegradable and can reduce the effect of typical plastics used in CDs. The material used in CD cases is also a great burden on the environment. In order to counteract the effects of CD cases, you can use PLA cases. You can also use cases that are made out of paper that many music producers have used to create CDs. The only problem with using paper cases is that they are not as durable as the usual plastic cases. Every small act helps. If you would like to prevent the problems of CD pollution you can send your CDs to private companies who recycle them. A great CD recycling company in the UK is Polymer Recycling Ltd.
You can also choose to work with environmentally friendly companies when choosing your CD duplication and replication options. There are many options out there, but don’t forget that Duplication Centre recycles its packaging materials, so it is an environmentally responsible choice for CDs. 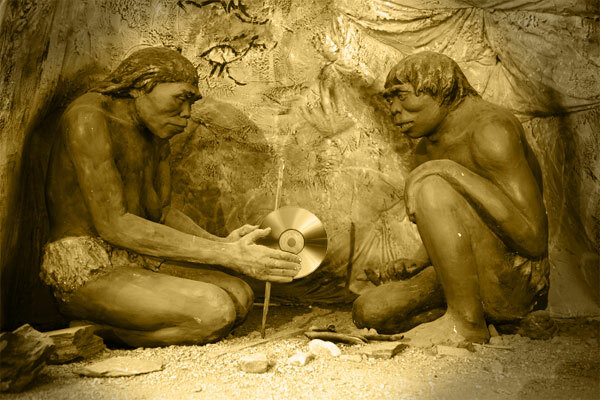 The compact disc, or CD, was developed as a result of the evolution of LaserDisc technology. Both Philips and Sony scurried to develop prototypes during the 1970s and they later worked together to produce a standard format and player which was eventually made available to the public in 1982. The origin of the CD has many stories and several trailblazers to thank for experimenting and figuring out ways to make a disk like the CD available to the public. Although many people claim different inventors of the CD, the early credit should go to three men: Emil Berliner for his proving that flat discs work better for transmitting sounds than the round phonograph, Thomas Edison for his invention of the gramophone record and Antonio Rubbianifor his experimentation with digital video. However the actual CD was not produced until L.Ottens constructed a team of seven people to create an audio disc that produced a better sound quality than the vinyl record. They set out in 1974 and eventually developed a lab that allowed for more testing and prototypes than ever expected. The original thought was to develop a CD that had a diameter of 20cm, however this was later changed to 11.5cm to match the diagonal length of a cassette tape. During that time, Sony joined the race by displaying an optical audio disc in the fall of 1976. In 1976, Philips and Sony created a joint task force of experts and engineers to create a brand new disc. The task force was headed by ToshitadaDoi and KeesSchouhamerImmink, and after a year of testing, they released the Red Book CD-DA standard which was released in 1980 and later recognised as the international standard in 1987. The small team was split by representatives from each company and each person was there for their own area of expertise. Representatives from Sony focused on error-correction and Philips representatives focused primarily on the manufacturing process. Langenhagen, Germany was the sight of where the first CD was pressed. The Poydor Pressing Operations plant created the CD with a recording of Richard Strauss’s EineAlpensisfonie. Mass production began in 1982. The first musical album to be release on CD was Billy Joel’s 52nd street, which was sold beside Sony’s brand new CD player CDP-101. This release occurred on October 1, 1982 and led to an explosion of sales in CDs and CD players. You are currently browsing the Duplication Centre Resource Centre blog archives for June, 2013.